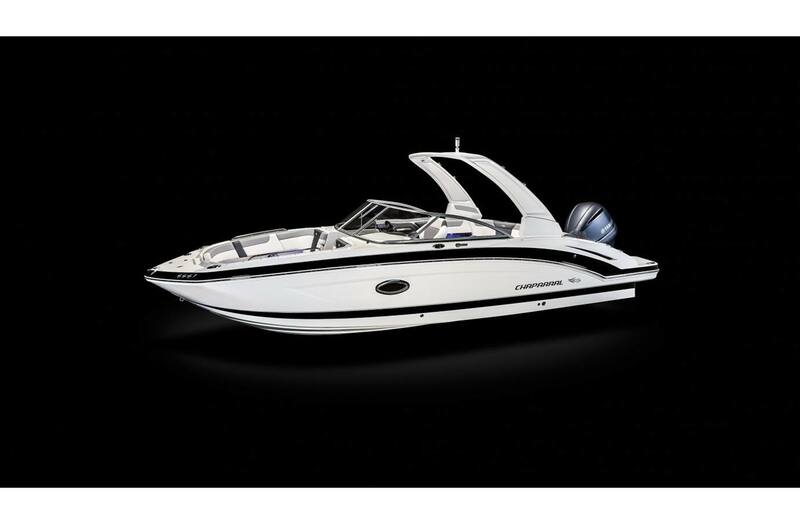 The 250 Suncoast misses nothing. 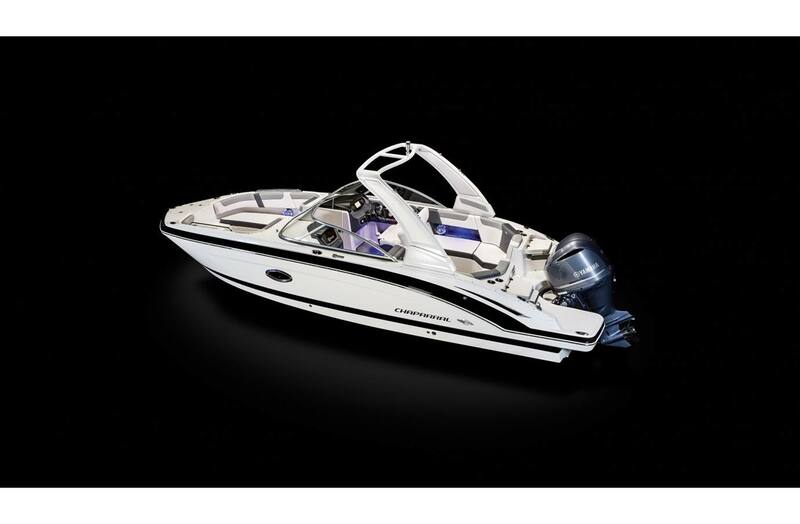 Clean and crisp lines, outboard performance, precise handling, and the luxury and capacity Chaparral is known for. 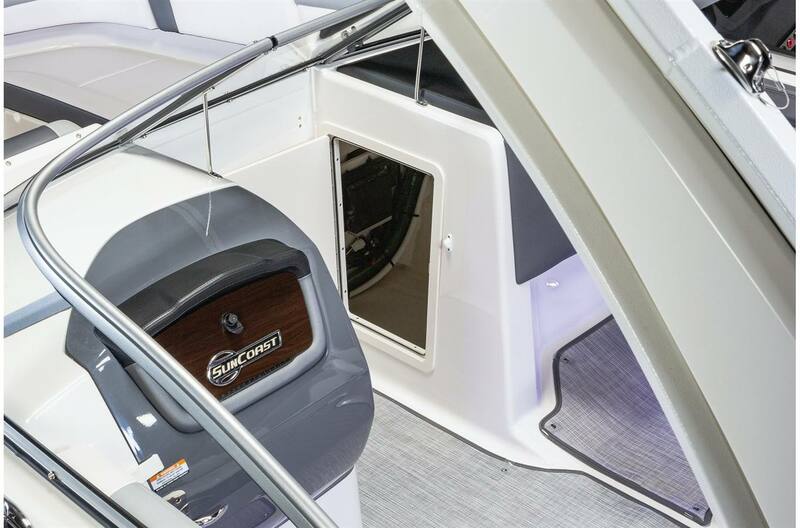 The 250 Suncoast has one of the largest bow areas in it's class. 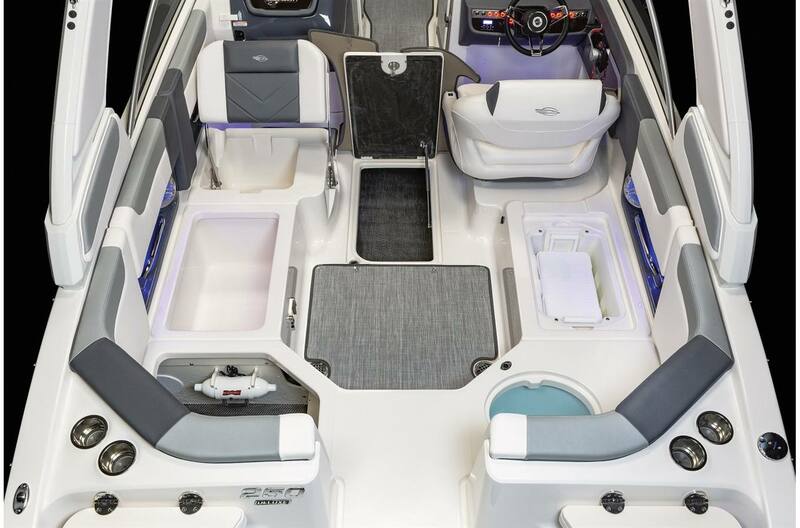 An open concept seating arrangement in the cockpit, and the capability for watersports make the 25 the perfect all around watercraft. 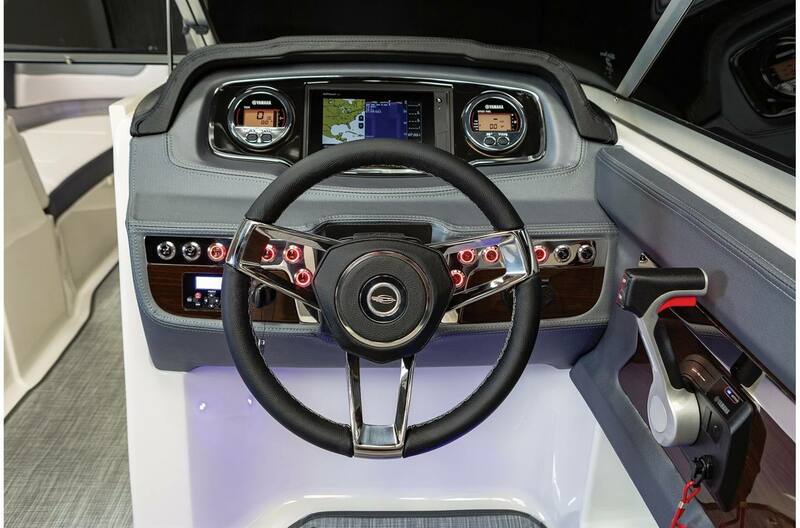 At Your Command: Command Link® digital gauges provide accurate, real-time stats on boat systems and operating conditions. 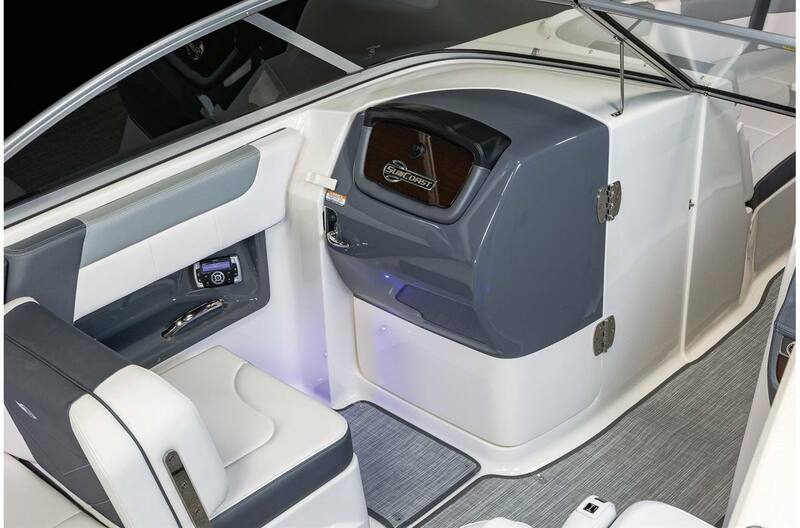 Easy to read and designed to withstand the elements, Command Link® digital gauges allow you to monitor everything from engine function and fuel management to trim levels and battery voltage. Command Link® gauges are available with select engine packages only. 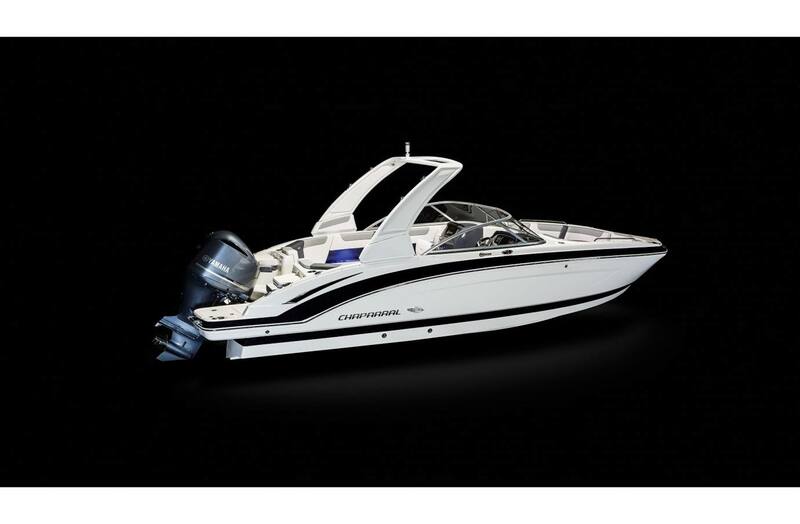 Powerful Fun: The Chaparral SunCoast line takes full advantage of the power of the Yamaha Outboard motor. 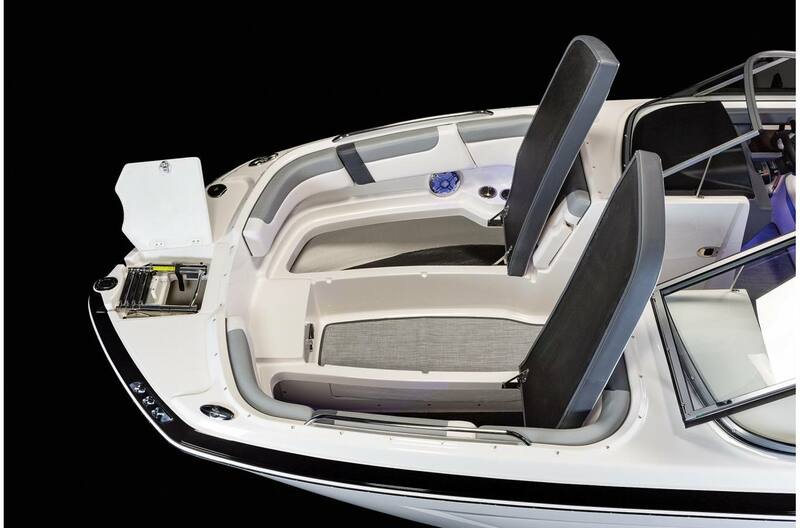 Standard, the 250 SunCoast is equipped with the Yamaha Four Stroke VF 250XA 250 HP (Mechanical) outboard engine, but this boat can be equipped up to 300 HP. 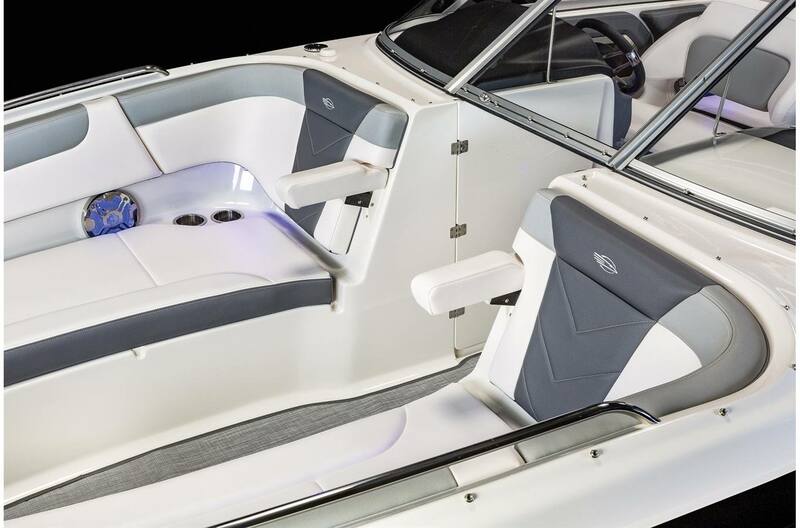 All SunCoast models are designed with a deep inset for the engine allowing for dual swim platforms with a full walk around in front of the engine. 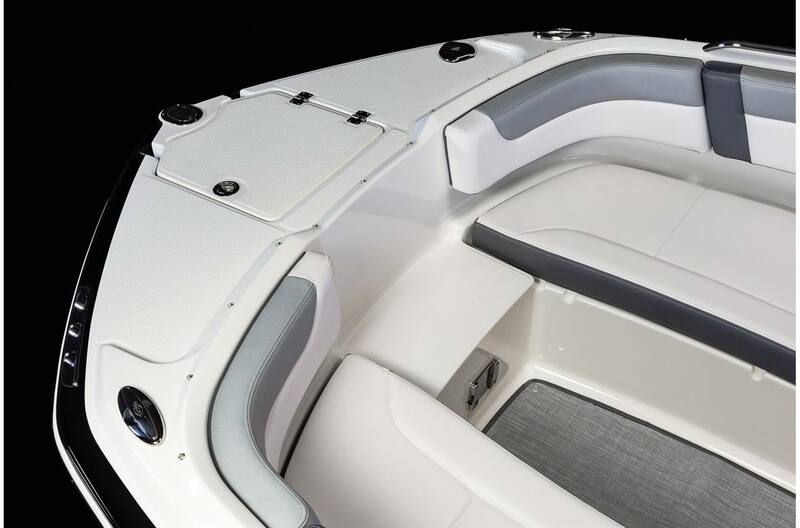 For Peace of Mind On and Off the Water: All 2019 Chaparral models come with a Lifetime Limited Hull Warranty and 5-Year Premier Level limited component warranty - standard. 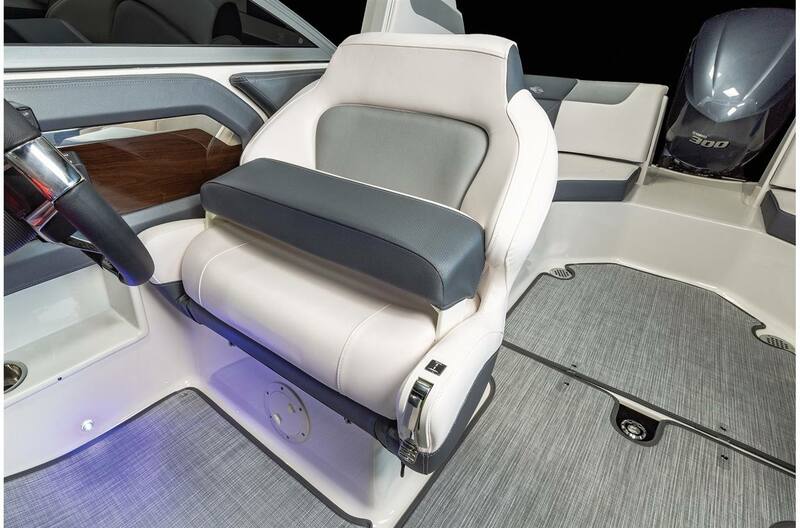 No Comparison: The bow seating on the 250 Suncoast is open and inviting. 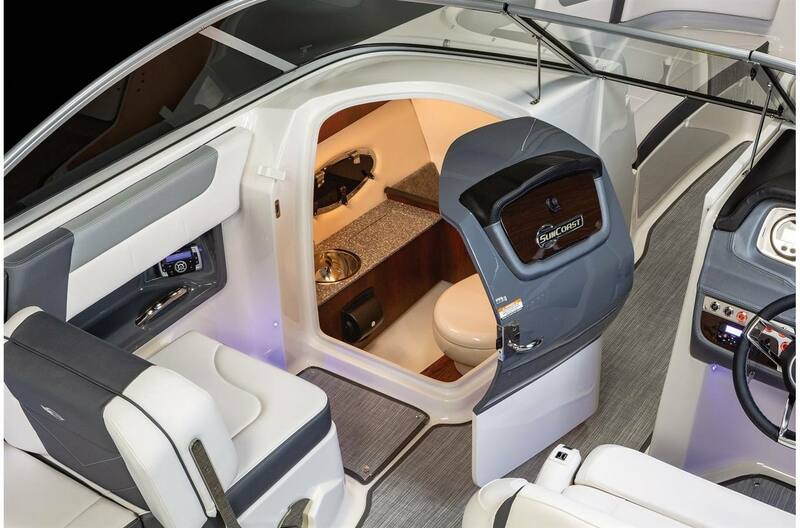 With the ability to seat four adults comfortable, and a standard table that can be used in the bow or cockpit, the bow on the 250 Suncoast is the perfect entertainment area. 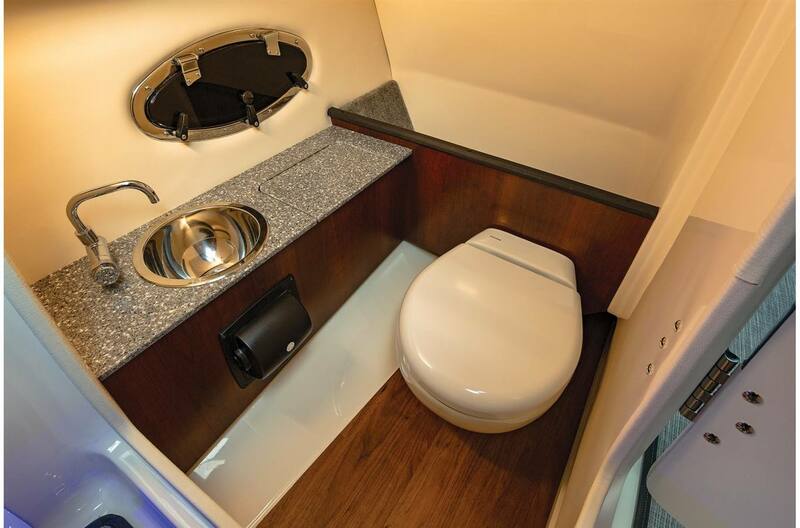 Underneath the hinged cushions on the port and starboard side are large storage compartments. Forward there is an anchor locker and standard telescopic boarding ladder. 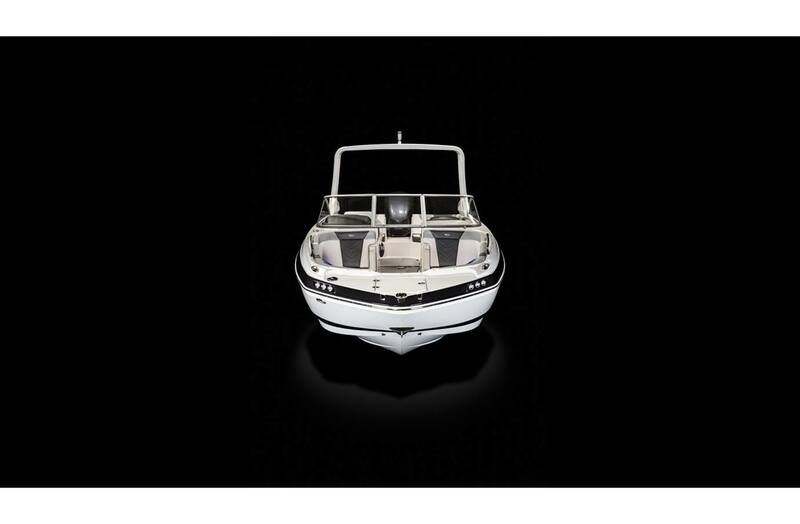 The 250 Suncoast shares the same design as it's smaller sisters with a deep transom inset for the outboard engine. 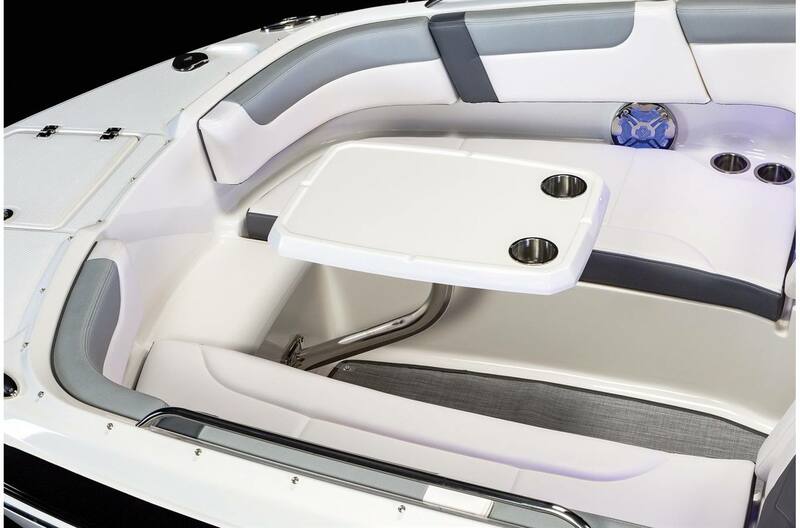 Molded in aft facing seating with storage underneath is standard. 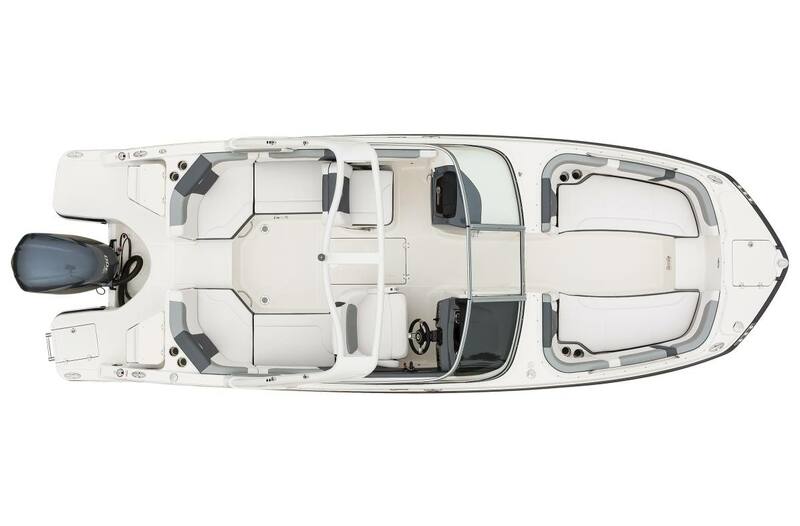 Low Speed Stability: Our hull design utilizes an extended running surface, allowing the "v-plane" to continue aft of the transom. 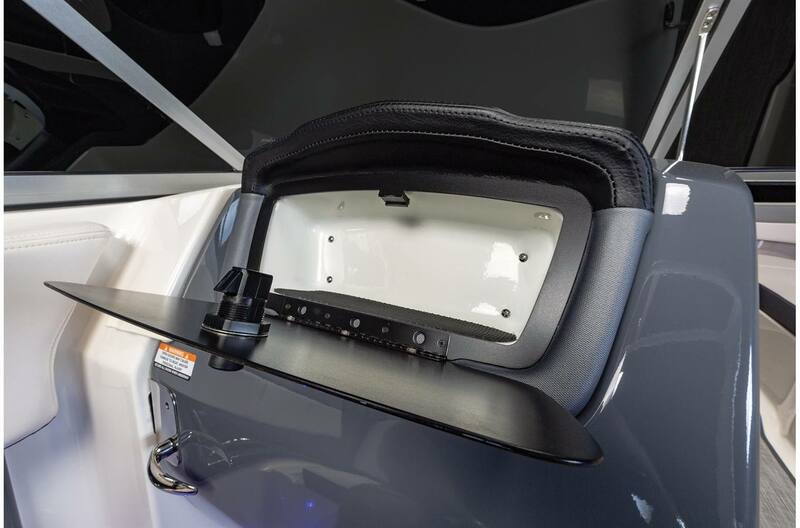 This creates superior stability under nearly all driving conditions. 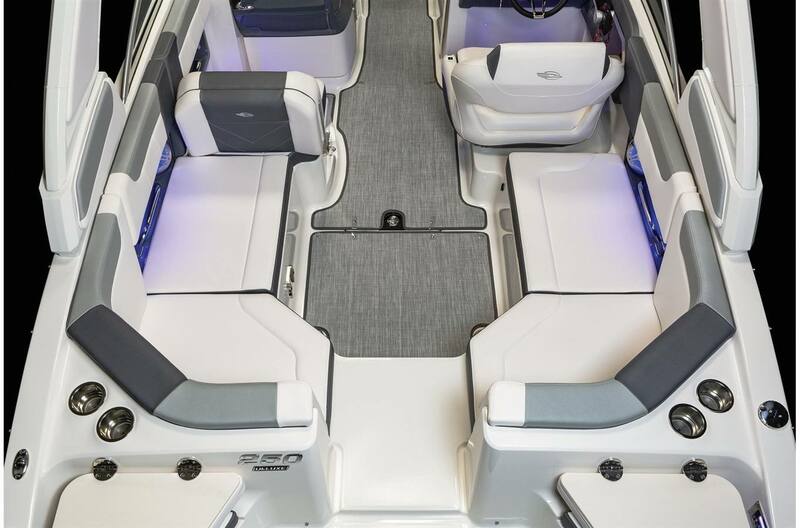 Feather Soft Ride: A fishing trip feels like a day cruise when you're out on a Chaparral. Engineered by the best for the worst of conditions, you will feel the difference that hydro-lift provides. 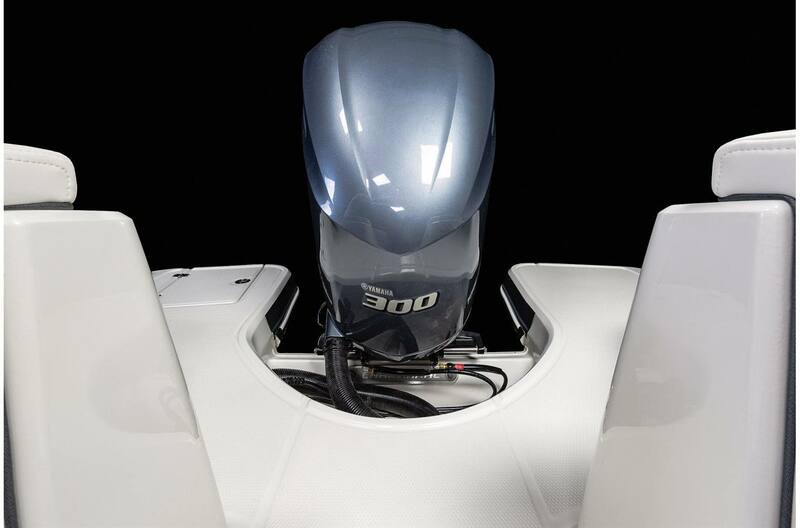 Efficient Fuel Economy: Less time at the pump means more time in the water and more money for bait. 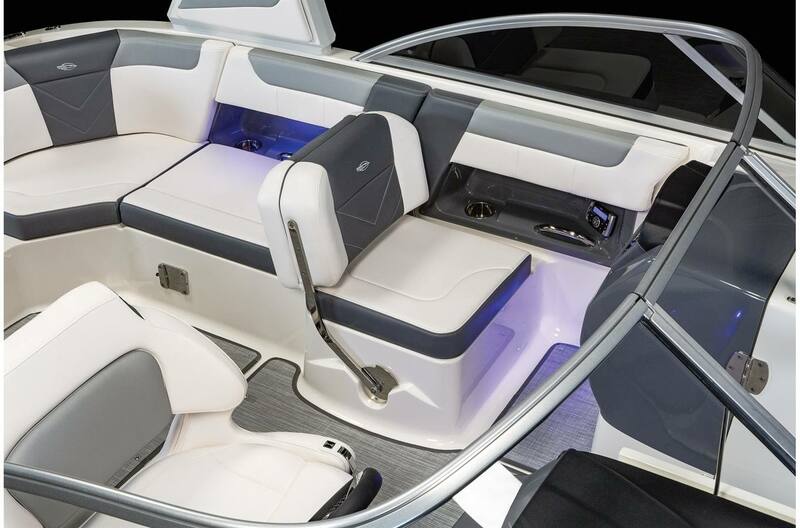 The hydro-lift provides a quick plane time, creating one of the most fuel efficient boats in their class. 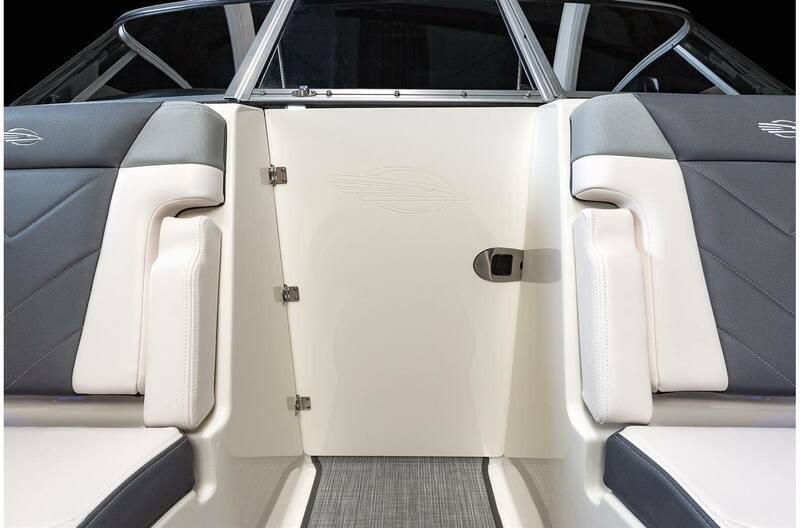 Precise Cornering Agility: The extended running surface coupled with the tight aft hull corners delivers everything you need when you're taking sharp turns. 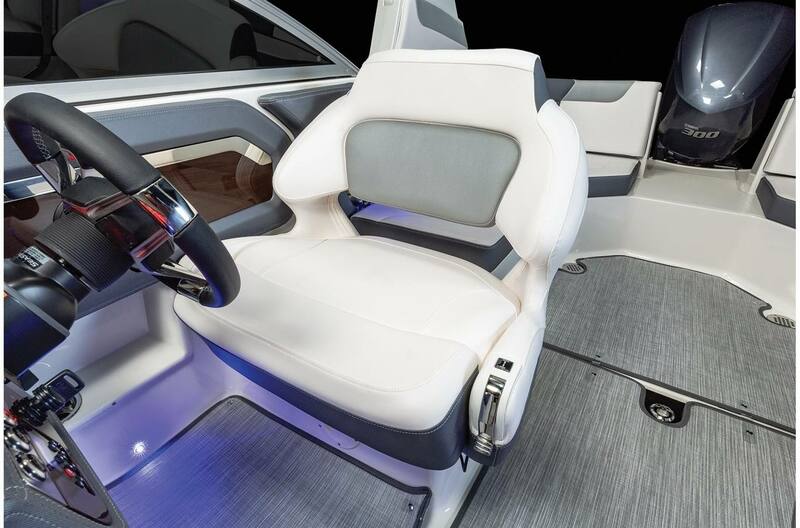 These hulls drive like a luxury automobile. 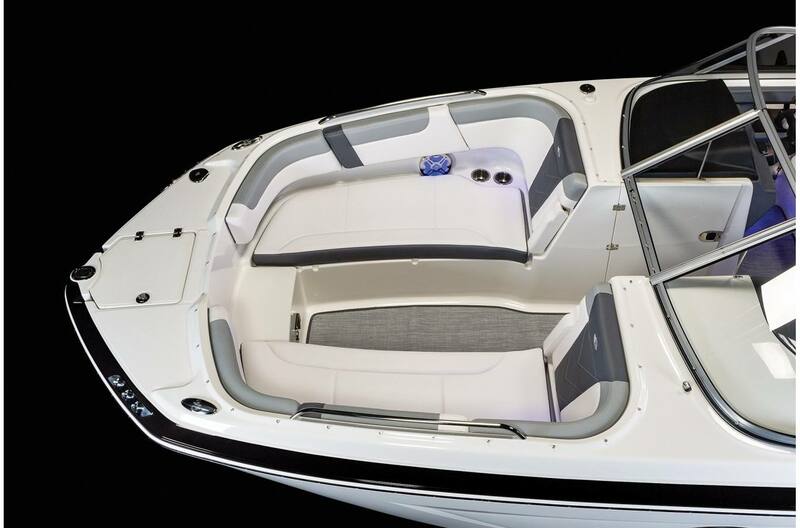 Dry Riding Freeboard: Enjoy dry comfort aboard any Chaparral due to our high freeboard. 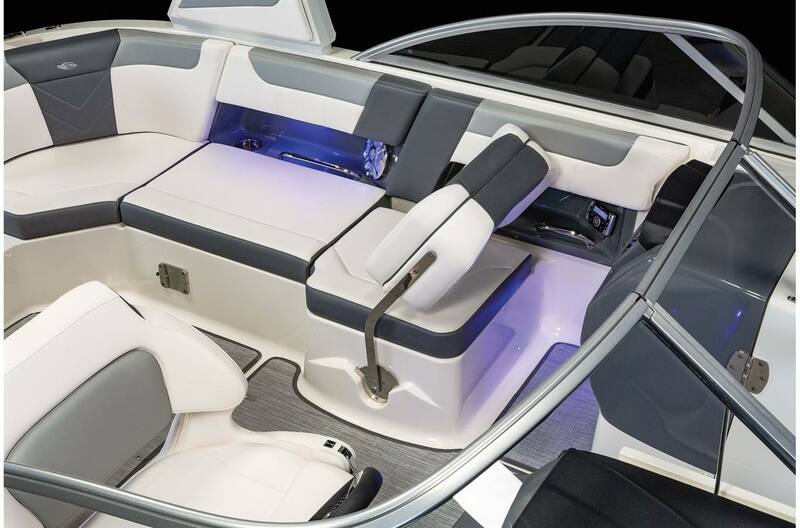 Feel secure in the deep cockpits. 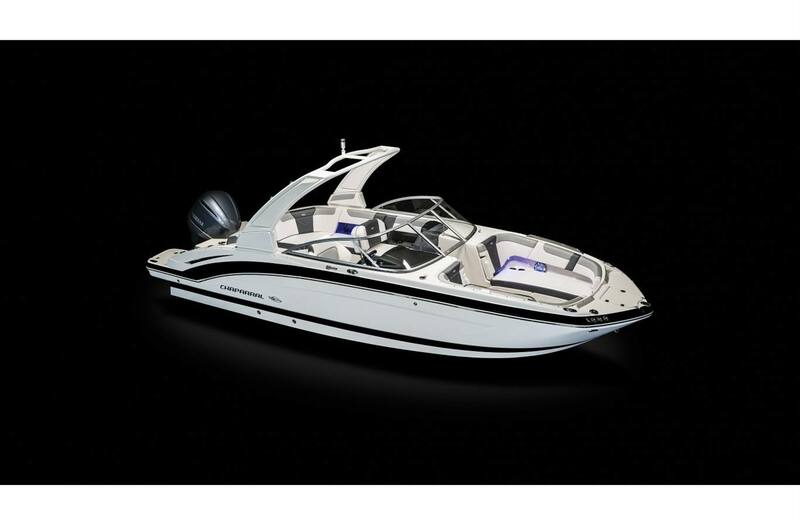 You'll be amazed at the size, all while maintaining a sleek profile. 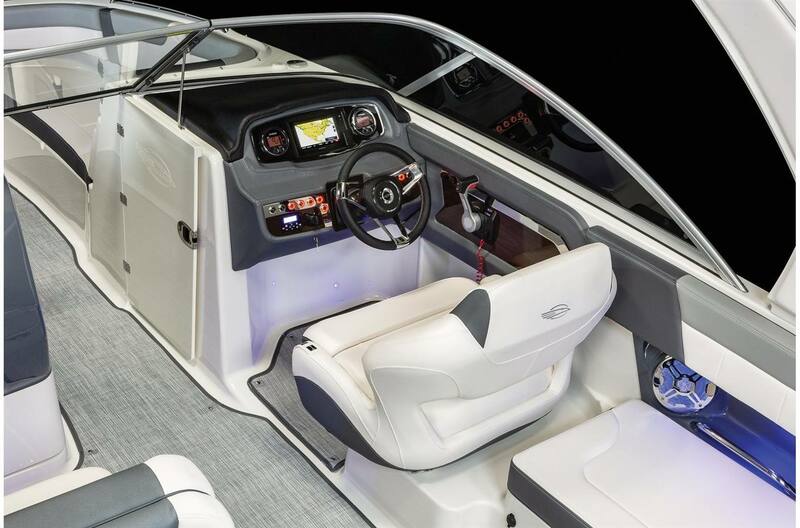 Full Throttle Excitement: With a forward keel designed to cut through the water like a knife, high-octane pleasure awaits. 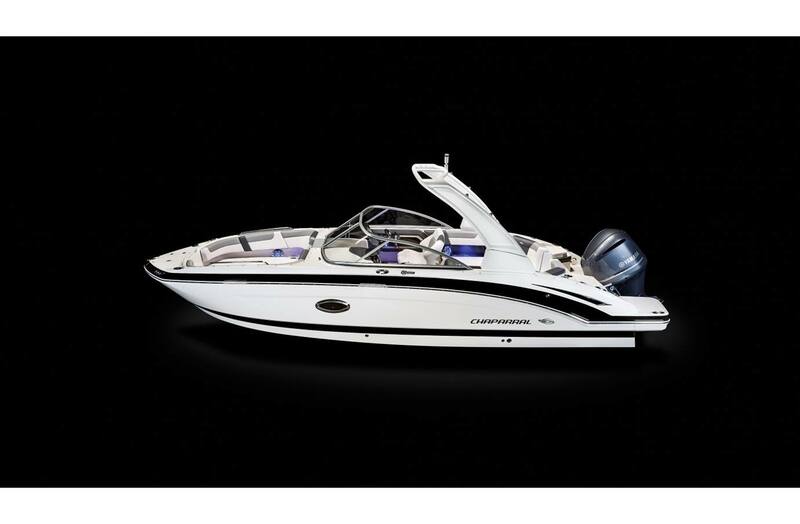 Quick acceleration delivers the ride of a lifetime each time you leave the dock. 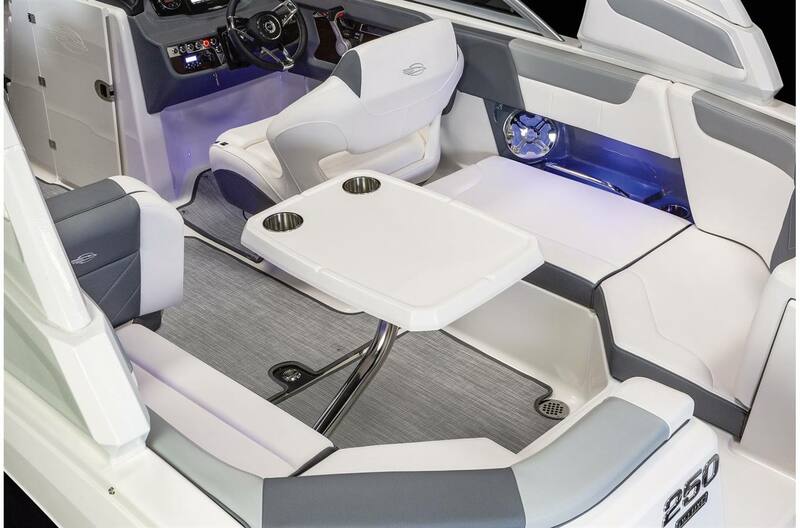 Mercury Verado 350XL 350HP 25"
Mercury Verado Warm Fusion 350XL 350HP 25"